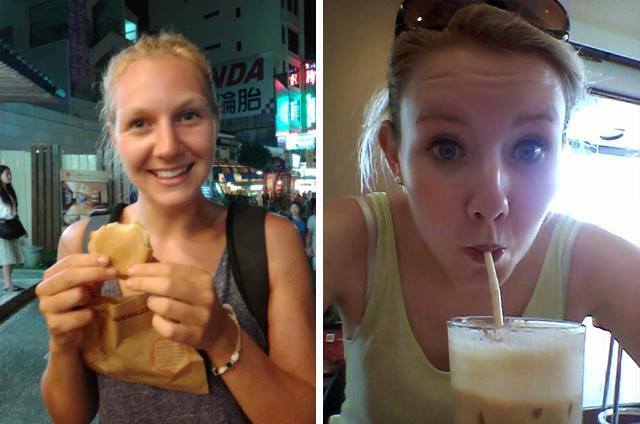 Backpack Becky: What to Do in Taiwan? Over the summer my friend and I spent just over a week in Taiwan, and we explored some of the top places which were recommended on many a blog/website/travel guides blah blah blah. 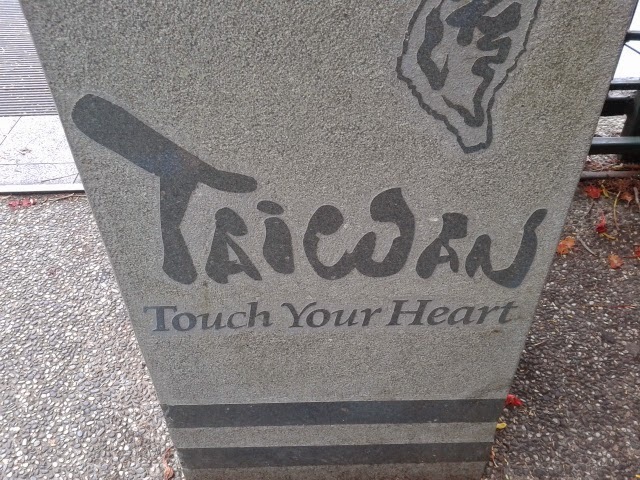 I only really visited Taiwan as firstly I had never been, and secondly it’s really close to Japan so it seemed only apt to hop on over and see what this country was all about. After spending nine days in the country, I can’t say I’d spend much longer. My trip wasn't bad but I just felt that there wasn't a great deal to do, and I'd never feel the need to return. However, the people are friendly, the majority of signs are in English and the country is pretty different to any other part of south-east Asia. We started off in the capital of the country, Taipei, where flights are cheap and easy to come by. Getting from the airport to the city centre is easy enough and there is a lot of help to direct you on your way. We spent four days in Taipei overall, split between the start and end of my trip. 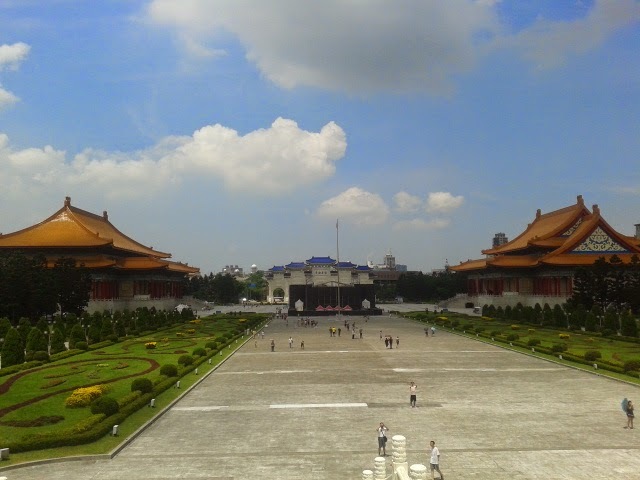 Our travel itinerary for the capital was pretty tourist filled and we spent most of my time in the hotspots of the National Palace Museum, Chiang Kai-shek Memorial Hall, Taipei Astronomical Museum, 2-28 Memorial Museum and Taipei 101. Some of these places are worth visiting, such as the Chiang Kai-shek Memorial Hall, which houses some beautiful buildings in a key city location. The National Palace was also beautiful from the outside but very dull inside, basically a lot of old pots and artifacts, and everything was in Chinese. The Memorial Museum and Park were okay, but also a bit small and not too much to see. After Taipei we caught a four hour bus to Sun Moon Lake. We booked the bus on the morning of travel from Taipei's main bus station. Make sure to take layers for the buses and trains as they go overboard on the air conditioning in summer. Once at Sun Moon Lake we strolled around to find accommodation. There are several town sections to Sun Moon Lake and I knew there was a hostel in one of the sections but not sure where or even how we would have got there in the evening. We stayed in a hotel style room above 7/11 for £18, then on the second night I found a twin hotel room for £16 which seemed more the norm. It may be worth booking a hotel in advance but I just winged it and it turned out to be fine. 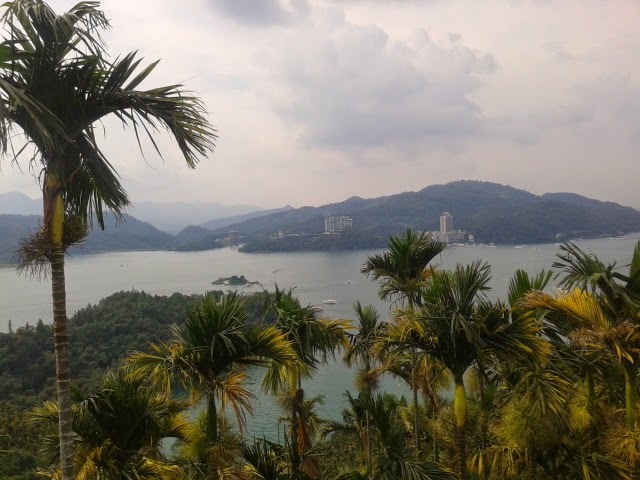 Sun Moon Lake can be covered in two days unless you’re a really avid walker. On the first day we took a boat trip around the different sections of the lake. This was beautiful to see and you could spend as long as you wanted at each section but it was quite confusing to then find out which boat you were allowed back on. A lot of trailing around, and different people pointing me to different boats. Not too many bars in this place, however there are enough restaurants for the size of the town, but not a place to party. After Sun Moon Lake we got a bus to Taichung where we had to get a train to Hualien. Many guides said we would have to change trains in Taipei but there were direct trains. It took about seven hours in all as it had to go around the mountains on the east of the island. Once at Hualien we had already booked a hostel online which displayed a varied number of places. We took a taxi (very cheap) from the station to Tidal Surfers Hostel. As the town isn't big you’ll find all the hostels in a good location. Our hostel seemed strange at first as it tended to be the workers then my friend and I, but on the second night a number of visitors stayed and the whole hostel had a big drinking party, all paid for by the owner. If that doesn't sway you to stay then nothing will! 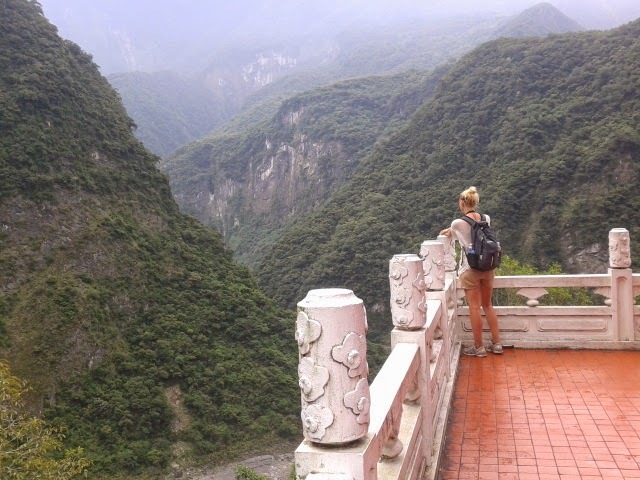 Overall, Hualien is a bit of a dull town, the main reasoning for staying here was to visit Taroko Gorge (Taroko National Park). Taroko Gorge day tickets can be bought at the bus station next to Hualien train station on the day of your trip. You catch the bus to whichever point of the gorge and then you can hop on and off whenever you like with your day ticket. The gorge is quite spectacular and worth at least a day of your time. There are plenty of walks/hikes/river treks available and all give fantastic views. Make sure to wear good shoes, and take a waterproof. We spent a day here and could have easily spent a second. There are other places to visit in Taiwan such as Taichung and Alishan, but I only wanted a week in the country, which happened to be nine days in the end due to a typhoon which cancelled all planes from Taipei. However, I tweeted Air Asia to ask if my friend and I could switch our flight to the next available one, and they did it within a few hours. So there you have it! A great country but not an action packed one. Expect lots of tea, everything flavoured with something that tasted like weird liquorice, photos from the locals at every available chance they get and overall, amazing scenery and great views!